Presenting like new, this custom-designed home offers a highly desirable combination of style and space in one of Largs’ most popular locations. The home currently offers four bedrooms, main with walk-in robe and stylish en-suite. All other bedrooms are of good size with ceiling fans and built-in robes. In addition, there is the potential to use the large rumpus room with study nook at the rear of the home as a large fifth bedroom with retreat – ideal for teenagers or an older family member that requires additional space. Glossy white kitchen with stone bench-tops and quality stainless steel appliances including dishwasher, oven and gas cook-top. The kitchen is large and spacious with and oversize island bench offering casual dining for the largest of families. There are multiple living areas for relaxing and entertaining guests including formal lounge, open plan family/dining area and large rumpus area at the rear of the home. Outside the home, there is a covered outdoor entertaining area with ceiling fan overlooking the large but easy to maintain rear yard, which also boasts a carport accessible through the double garage. This beautiful home is now available for sale exclusively through Maitland Real Estate Agents. Secure your private viewing today by contacting licensed real estate agent Troy White on 0432 717 354. The content of this advertisement; constitutes Maitland Real Estate Agents (MREA) copyright and is intended for general use and information only. All rights are reserved. This advertisement contains information provided by third parties and is intended to provide preliminary information only. Errors or omissions can occur in the preparation of such material and users should independently verify its accuracy, completeness, relevance and that it is up-to-date. Before any action or decision is taken on the basis of this advertisement the user should obtain appropriate independent, professional advice. All images are indicative of the property only. Licensee and Principal at Maitland Real Estate Agents. Troy boasts extensive marketing and sales experience having represented some of the world's best known brands. 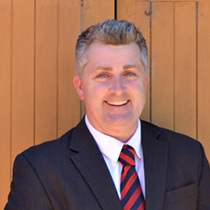 He is delighted to have returned home to Maitland to help local property owners achieve the best results when selling. Copyright © 2016. All Rights Reserved. Maitland Real Estate Agents.